April Fool! Gott Strafe England! 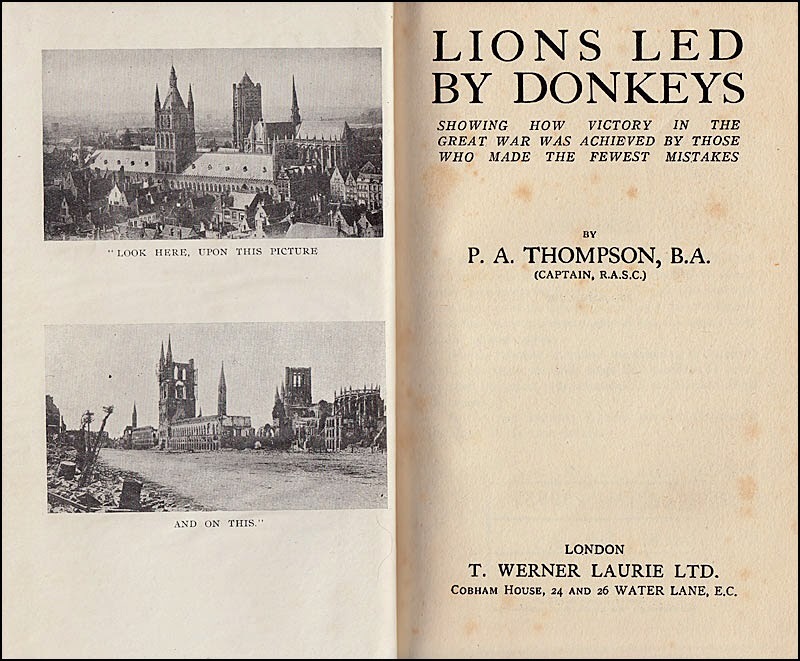 Thompson is credited with popularizing the expression that disparages British generals of the Great War, "Lions Led by Donkeys", in the English-speaking world. He wrote a much-admired book about the war with that title in 1927. This account reminds me of a story told to us by a delightful Belgian B&B proprietor (name withheld). He told us a story about his father who served in the Belgian army during the First World War. The Belgians had laid a large tree trunk on a slope, giving the impression that it was a large cannon in order to fool any airborne German observers overhead. One day a German flew over and dropped several objects that appeared to be bombs. Naturally, the men on the ground scattered, running for cover. When the ‘bombs’ did not explode, the Belgians neared the objects and discovered that they were in fact only lumps of wood.